Publications relating to the physical space in which palliative care takes place. Works addressing issues of space and how the physical environment in which an individual dies can influence their experience. Ian Clarke. Ken Worpole . 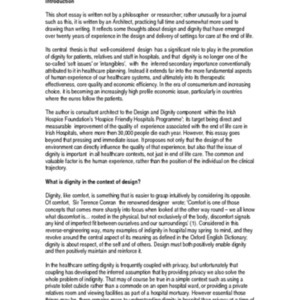 , “Publications relating to the physical space in which palliative care takes place. 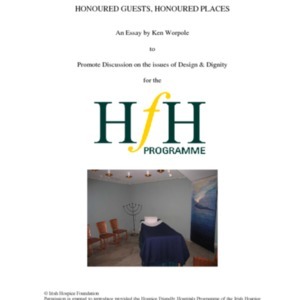 ,” Archives Hospice Foundation, accessed April 22, 2019, http://archives.hospicefoundation.ie/document/114.